１５．小濱健吾，貝戸清之，小林潔司，古野幸夫：苦情発生を考慮した道路巡回政策，土木学会論文集F4, Vol.70, No.1, pp.25-3, 2014. １４．小濱健吾，貝戸清之，小林潔司，福田泰樹，板垣勝則：道路障害物に関する苦情発生分析，土木学会論文集F4, Vol.69, No.1, pp.32-46, 2013. １３．宮﨑文平，風戸崇之，濵梶方希，小濱健吾，貝戸清之：高機能舗装を対象とした高速道路の路面管理基準に関する実証的研究，土木学会論文集E1（舗装工学）, Vol.69, No.3（舗装工学論文集Vol.18）, pp.I_175-I_183, 2013. １１．小濱健吾，貝戸清之，小林潔司：混合ポアソン劣化モデル:コンクリートの剥離・剥落発生事象への適用，土木学会論文集F4（建設マネジメント）特集号, Vol.69, No.4, pp.I_27-I_37, 2013. １０．坂口創，平川恵士，水谷大二郎，小濱健吾，貝戸清之：落下物品目の多様性を考慮した高速道路上落下物の反射率分布推定，土木学会論文集F4（建設マネジメント）特集号, Vol.69, No.4, pp.I_39-I_49, 2013. ９．小濱健吾，貝戸清之，青木一也，小林潔司，福田泰樹：劣化過程を考慮した最適廃棄・補修政策，土木学会論文集F4, Vol.68, No.3, pp.141-156, 2012. ８．下村泰造，藤森裕二，貝戸清之，小濱健吾：空港コンクリート舗装の最適維持補修モデル, 土木学会論文集D3, Vol.67, No.4, pp.542-561, 2011. ７．下村泰造，小林潔司，小濱健吾，貝戸清之：空港コンクリート舗装のハイブリッド劣化モデル:土木計画学研究・論文集, Vol.26, No.1, pp.47-58, 2009. ６．下村泰造，小濱健吾，貝戸清之，小林潔司：空港舗装のアセットマネジメントのためのハイブリッド型地盤沈下モデル, 土木学会論文集F, Vol.64, No.4, pp.463-482, 2008. ５．堀倫裕，小濱健吾，貝戸清之，小林潔司：下水道処理施設の最適点検・補修モデル，土木計画学研究・論文集, Vol.25, No.1, pp.213-224, 2008. ４．小濱健吾，岡田貢一，貝戸清之，小林潔司：劣化ハザード率評価とベンチマーキング，土木学会論文集A, Vol.64, No.4, pp.857-874, 2008. ２．貝戸清之，山本浩司，小濱健吾，岡田貢一，小林潔司：ランダム比例ワイブル劣化ハザードモデル：大規模システムへの適用, 土木学会論文集F, Vol. 64, No. 2 pp.115-129,2008. １２．Sakaguchi, S., Mizutani, D., Obama, K. and Kaito, K.: Bayesian Estimation of Multi-stage Weibull Deterioration Hazard Model, 10th Japanese-German Bridge Symposium, Munich, Germany, 2014. １１．Hayashi, R., Obama, K. and Kaito, K.: A Peeling/Flacking Prediction Model for RC Handrails in Consideration of a Spatial Chain, The 37th IABSE Symposium – Engineering for Progress, Nature and People, Madrid, Spain, 2014. １０．Hayashi, R., Hirakawa, S., Obama, K. and Kaito, K.: Estimation of Spatial Distribution of Road Illuminance in Tunnel, The 9th International Symposium on Social Management Systems (SSMS2013), No.77, Sydney, Australia, 2013. ９．Miyazaki, B., Kazato, T., Obama, K. and Kaito, K.: An Empirical Study for the Road Surface Management Criteria of Expressway Pavement, The 9th International Symposium on Social Management Systems (SSMS2013), No.7921, Sydney, Australia, 2013. ８．Sakaguchi, S., Mizutani, D., Obama, K., Hirakawa, S. and Kaito, K.: Estimation of the Reflectance Distribution of Falling Objects on the Highway for Tunnel Lighting Management, IEEE International Conference on Systems, Man, and Cybernetics (IEEE SMC 2013), pp.4000-4005, Manchester, UK, 2013. ７．Obama, K., Kaito, K. and Kobayashi, K.: Mixed Poisson Deterioration Model for Bridge Management, IEEE International Conference on Systems, Man, and Cybernetics (IEEE SMC 2013), pp.3989-3993, Manchester, UK, 2013. ６．Obama, K., Kaito, K. and Kobayashi, K. : Mixed Poisson Deterioration Model: Applying for Peeling/Falling off Concrete, The 13th East Asia-Pacific Conference on Structural Engineering and Construction (EASEC-13) , F-2-3, Hokkaido, 2013. ５．Miyazaki, B., Obama, K. and Kaito, K. : Hidden Markov Model Considering the Inconsistencies of Observation Period, The 13th East Asia-Pacific Conference on Structural Engineering and Construction (EASEC-13) , C-3-2, Hokkaido, 2013. ４．L.T.Nam, K.Obama and K.Kobayashi : Local Mixture Hazard Model-A semi-Parametric Approach to Risk Management in Pavement System, Proceeding of the 2008 IEEE International Conference on Systems, Man, and Cybernetics(SMC2008), Singapore, 2008. 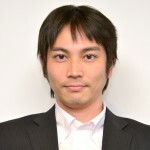 ２．Obama, K., Kaito, K. and Kobayashi, K: Asset Management System for Educational Facilities Considering the Heterogeneity in Deterioration Process, Symposium on Society for Social Management System 2008, Kouchi, 2008. １．Kiyoyuki KAITO, Kengo OBAMA and Kiyoshi KOBAYASHI:Random Proportional Weibull Hazard Model for Predicting Deterioration of Educational Facilities,Proceedings of International Symposium on Ecotopia Science, CD-ROM,pp.1355-1362, Nagoya Univ., 2007. Copyright 大阪大学 大学院工学研究科 地球総合工学専攻 社会基盤工学コース 社会基盤マネジメント学領域 All Rights Reserved.